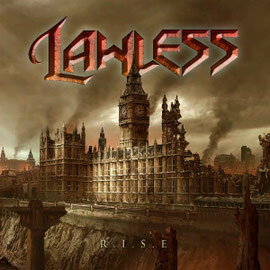 British Classic Hard Rock band LAWLESS will release their second album "R.I.S.E" through Escape Music on November 21st. It’s been 18 months since the release of their critically acclaimed debut album "Rock Savage" and during that period the band has toured, played festivals, had large radio exposure and had been working on the latest opus. The band has created this epic album by pulling in from their inﬂuences such as Dio, Y&T, Black Sabbath, Scorpions and Saxon so that after two years of being formed they have created their own sound in "R.I.S.E". This album is steeped in the 80's classic rock sound with a modern edge and includes soaring melodies, guitar hooks and face melting solos from Howie G and the band is united more than ever and has created a force to be reckoned with. The album was recorded and mastered at Summer Bank Studios in the bands hometown Stoke-On-Trent, produced by Hume and Ogden, and mixed & mastered by Hume. 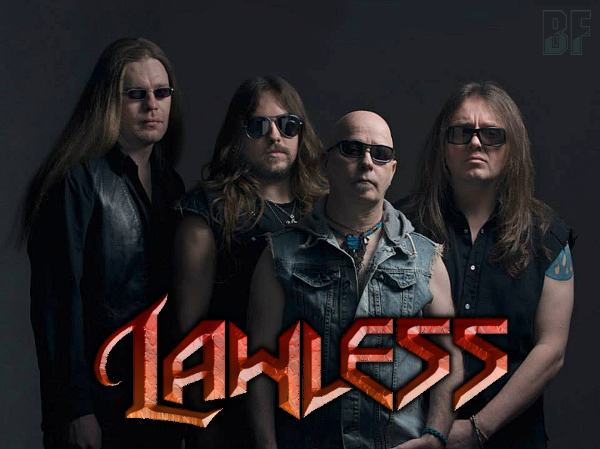 LAWLESS will appear with BLACK STAR RIDERS, Steve Harley & Cockney Rebel, ALABAMA 3 and other 42 bands in THE LEGENDS OF ROCK ORIGINALS FESTIVAL at VAUXHALL 5 HOLIDAY PARK GREAT YARMOUTH on October 16-19th.